Creole cajun seasoning – the must have seasoning for your southern cuisines, just as authentic as what you’d get in New Orleans. I thought it was about time that I’d introduced a few seasoning recipes to you all. This creole cajun seasoning is raw, fresh and straight out of the dirty south. 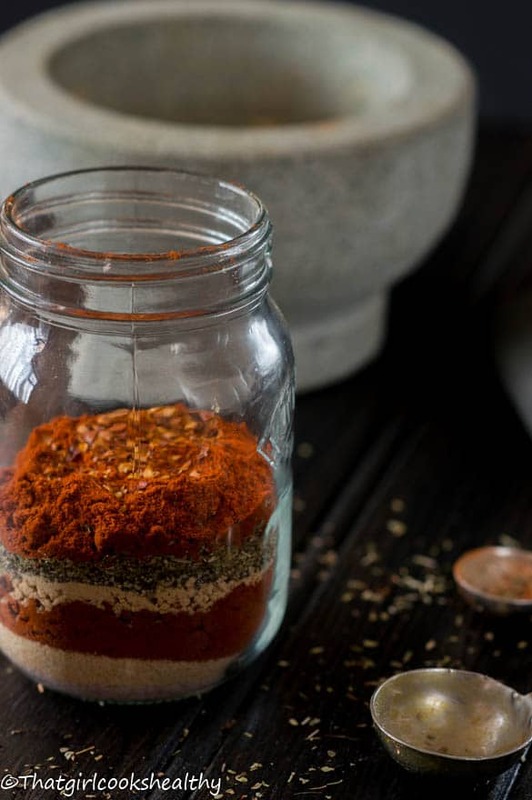 This spice blend contains a handful of common pantry ingredients and made within a matter of minutes. Is creole and cajun seasoning the same thing? Although these names are used quite loosely. They similar but definitely not the same because creole is sweet and mild in taste with more herbs such as oregano and paprika. On the other hand , cajun seasoning is more fiery. You can customise the recipe to your preference omiting salt or adding more cayenne. I would render this seasoning more towards a homemade cajun seasoning since it’s more on the fiery side. there’s no MSG, no anti caking agents or any processed fillers to worry about. What recipes can I use this creole cajun seasoning for? This seasoning is a favourite of mine it’s fiery and extra spicy, if you like HOT flavours then this spice is mindblowing and multi-purpose. 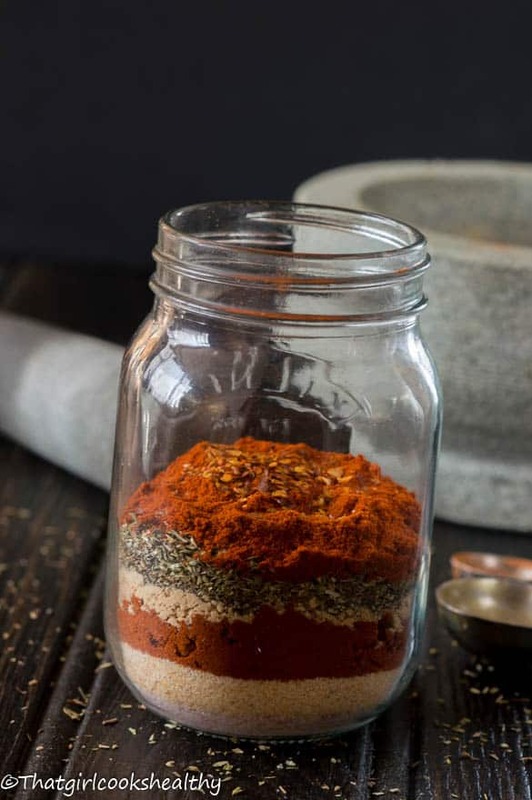 After receiving such a positive response for both recipes I then realised that I needed to share the actually this creole cajun seasoning recipe so off I went with my camera and took some dark photography shoots of this spice blend. 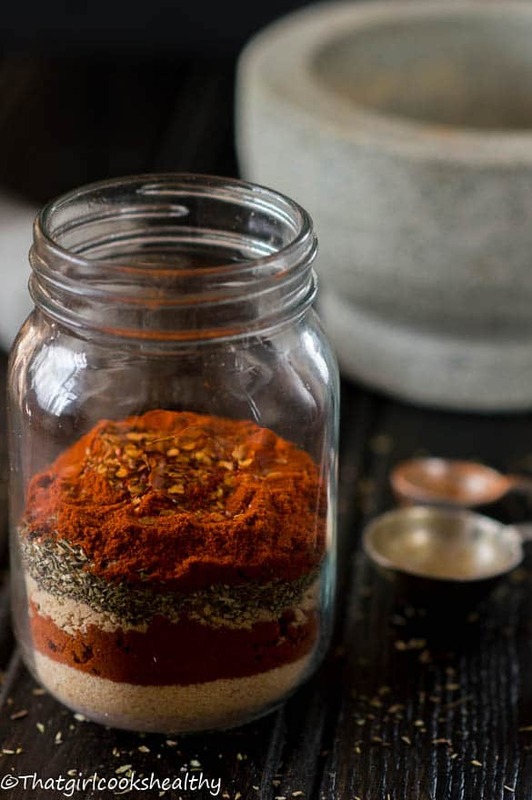 The ingredients for the seasoning – It’s a combination of onion powder, garlic powder, paprika black pepper, himalayan pink salt, oregano, cayenne pepper, red chilli flakes and optional thyme. Can I make this creole cajun seasoning less spicy? Yes, you can lessen the heat by omitting the red chilli flakes as they do boost the fiery flavour by 10 fold when included. Store the creole cajun seasoning in an air tight container to increase longevity. double, triple and quadruple the amount as required. 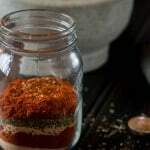 The recipe makes 3-4 tablespoon worth of spice blend. 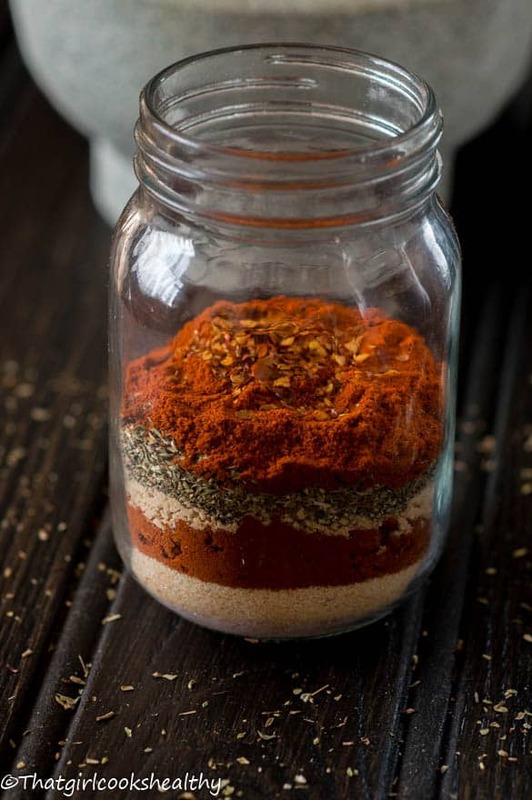 Add all of the ingredients to an airtight container and mix together. Put the lid on the container and shake well. Makes a total of 3-4 tablespoon worth of spice. Spice blends are always so much better when you customize them yourself. I need to mix a batch of this up…specifically to make those sweet potato fries! I highly recommend it, it gives the fries such a good kick. I love homemade spices. They taste SO much better than the stuff in the store. We need to make a batch of this it looks amazing! 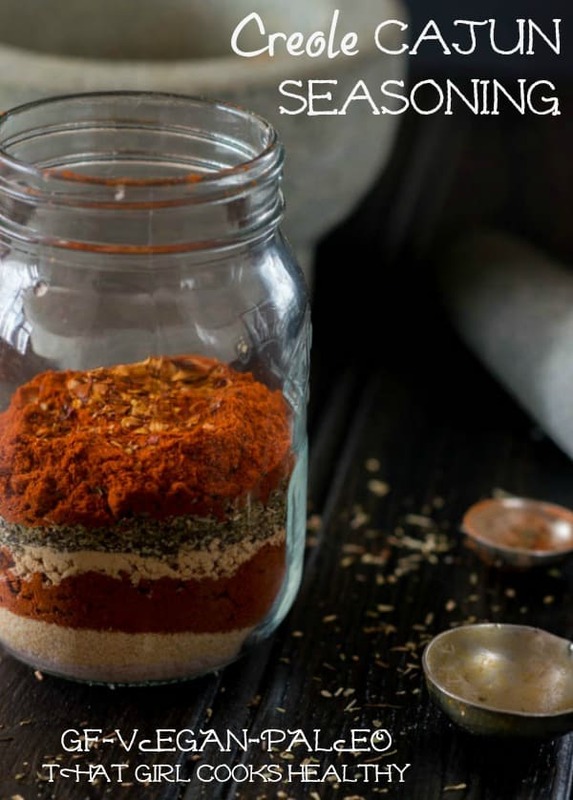 Nothing beats homemade spices, I promise you will benefit from this cajun seasoning. You can use it in so many dishes. I love Cajun spice mix but hate buying it in the store! It seems like so much money for such a small amount of mix and it has all those other chemicals! MSG!!! I will certainly be making a mason jar of this and using it on everything!! Thanks for sharing with Saucy Saturdays! This sounds so delicious! Love the red hot pepper flakes for added heat!! It truly is and it’s so multi-purpose you can sprinkle a bit in anything you desire. Thanks for sharing. I love making my own spice mixes and will add this to my stash. You’re welcome, I hope you like it and use it in many things. I always like making spice mixes at home, but so far I havn’t made Cajun mix, thanks for the recipe, pinning it! Thank you! This one is a keeper! If I don’t have the Himalayan pink salt can I use regular salt? Yes, you can use regular salt although I tend to avoid using it because it has zero nutritional content.